Disponibilidad: Only 2 left in stock - order soon. KURT COBAIN FUNKO POP - FYE Exclusive Funko Pop Rocks Kurt Cobain vinyl figure #67. Kurt is seen here wearing his brown sweater, t-shirt and jeans with his acoustic guitar from Nirvana's legendary appearance on MTV's Unplugged in 1993. FUNKO POP! ROCKS – The Funko Pop! 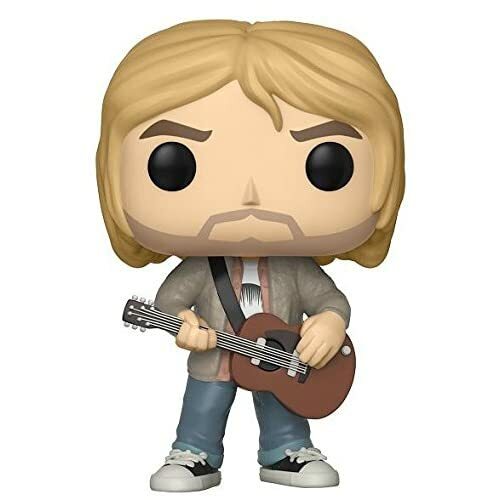 Rocks collection of vinyl figures features many of your favorite rock and roll legends including this latest exclusive release of the Nirvana lead singer and guitarist, Kurt Cobain. COLLECTIBLE VINYL FIGURE – This vinyl figure stands approximately 3 ¾ inches tall. The figure is durable and makes a great, long-lasting addition to any Funko collection. PROTECTIVE DISPLAY BOX – This figure come in a collectible box with a plastic display window that makes it easy to view and display your favorite Funko figures while keeping them in mint condition. FYE EXCLUSIVE - This exclusive Funko Pop figurine is produced exclusively for FYE, For Your Entertainment, and is available through authorized retailers only. 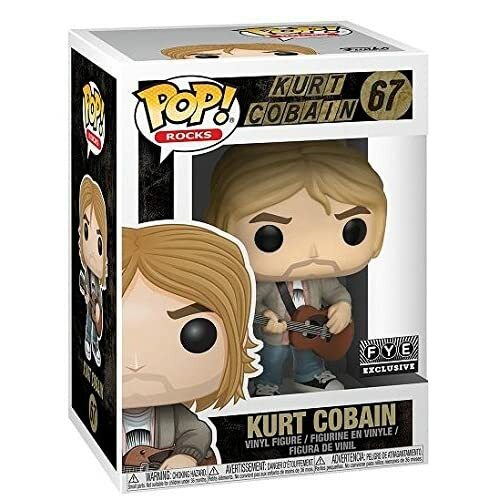 FYE Exclusive Funko Pop Rocks Kurt Cobain vinyl figure #67. Kurt is seen here wearing his brown sweater, t-shirt and jeans with his acoustic guitar from Nirvana's legendary appearance on MTV's Unplugged in 1993.